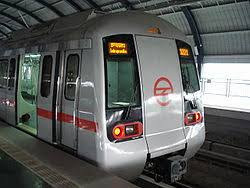 consistency over the system, the main mentor the moving way of Delhi metro trains will be held for ladies on all passageways, with the exception of the Red Line, Delhi Metro authorities said on Monday. Till now, the first and the last mentors in trains were then again utilized as 'women' mentor', contingent upon the here and there line. "The first and the last mentor at the terminal stations of Line 1 (Red Line-Dislhad Garden to Rithala), Line 5 (Green Line-Inderlok/Kirti Nagar to Brig. Hoshiar Singh), Line 6 (Violet Line-Kashmere Gate to Raja Nahar Singh), Line 7 (Pink Line-Majlis Park to Mayur Vihar Pkt-1 and Trilokpuri-Sanjay Lake to Shiv Vihar) and Line 8 (Magenta Line-Botanical Garden to Janakpuri West) were then again utilized as women's mentor on the up and down lines separately," the DMRC said in an announcement. The new framework has been acquainted with guarantee more comfort to suburbanites and keep up consistency among all the metro stations over the DMRC arrange. A similar framework will before long be presented on the Red Line, as well, when it is stretched out up to Ghaziabad, a DMRC official said. Fundamental declarations in the trains and at stations with respect to this will be made to guarantee smooth progress to the new game plan. Additionally, the floor illustrations and the 'Ladies Only' hanging signs are being expelled and settled at all the stations of these lines," he said.